Results of a head-to-head comparison study led by Johns Hopkins researchers show that noninvasive CT scans of the heart’s vessels are far better at spotting clogged arteries that can trigger a heart attack than the commonly prescribed exercise stress that most patients with chest pain undergo. The researchers note that the gold standard for detecting blocked arteries remains invasive cardiac angiography, a test using dye and X-rays that requires a catheter to be threaded into the heart’s vessels. But cardiologists have long relied on so-called stress testing as a simpler, cheaper “gatekeeper” procedure to identify people more likely to benefit from the riskier, more invasive and more costly catheterizations. In CT angiography, clinicians use dye injected into the circulation to visualize blockages inside the arteries. When the dye reaches impenetrable or narrowed passages clogged by fatty buildups or clots, the scan shows a blockage. The so-called nuclear Exercise stress tests also use dye and CT scans but instead of directly visualizing the interior of the arteries, they measure blood flow to the heart muscle immediately after a patient walks on a treadmill. Reduced blood flow to the heart muscle is a signal that a narrowed or blocked artery is not supplying the muscle with enough blood. 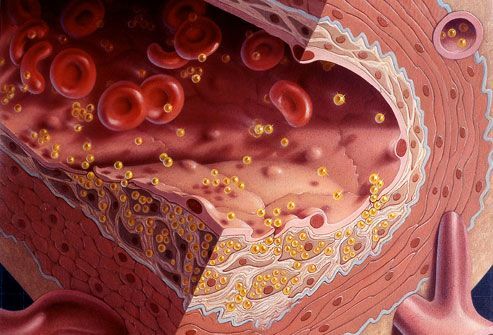 Although Exercise stress testing is generally safe for most people, it can rarely trigger an abnormal heart rhythm or even an actual heart attack in people with seriously clogged arteries. Researchers emphasize that both nuclear stress tests and CT angiograms expose patients to radiation. While many newer CT scans deliver substantially lower doses of radiation than the scans used in nuclear stress tests, the dose and protocols can vary widely from hospital to hospital, researchers say. CT angiograms and nuclear stress tests carry similar price tags—between $750 and $1,200. Researchers say the total tab stemming from either test, including downstream costs related to additional testing due to unclear or unrelated findings, remains unclear and should be an important consideration in crafting any new testing recommendations. Other investigators from Johns Hopkins included Rodrigo Cerci, Richard George, Andrea Vavere, João Lima, Jeffrey Brinker and Julie Miller. Other institutions involved in the research included Brigham and Women’s Hospital, Charité Hospital in Germany, St. Luke’s Hospital in Japan, Beth Israel Deaconess Medical Center, and the University of Sao Paulo in Brazil.